Juan Soto will be presenting next week at the Chicago Access User Group (CAUG). This is a great opportunity to network with other software developers and Access users, as well as a perfect venue to share tips, techniques, and ideas. 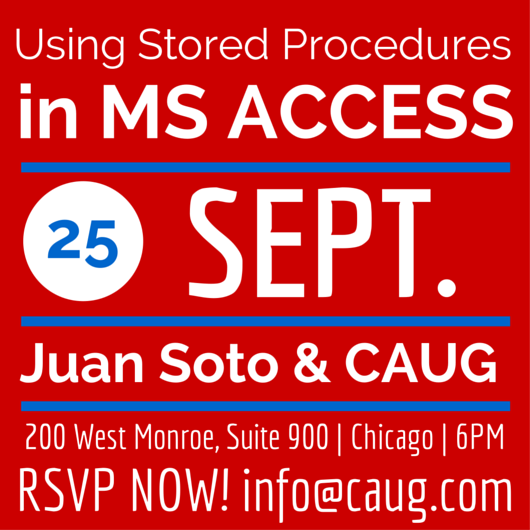 Join CAUG’s kick-off meeting with Juan Soto, Microsoft Access MVP, who has been invited to speak at this engaging presentation. To Attend: RSVP by email at info@caug.com | RSVPs must be received by 12 PM on Wednesday, September 24. We would like an accurate head count for ordering food. 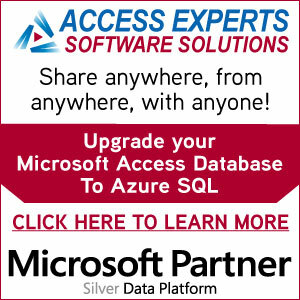 Sign up to our e-mail list to receive information on future Access related events. Crystal is the Marketing and Communications Specialist at IT Impact, Inc.